This whole range of mascaras are GREAT!!!! Maybelline has the best mascara in my opinion. Not too expensive and it works perfectly. 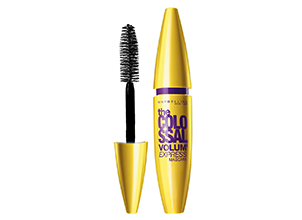 The wand really separates your lashes for that full lash effect and the formula creates a thickening effect. This is the first mascara by Maybelline that I ever tried and I’ve been obsessed with it ever since! I love most of Maybelline’s mascaras. I love how much volume and length it gives my lashes, I also never struggle with any clumpiness. The brush as also pretty small which is great when you want to reach the corners of your eyes. The best part about this product is not just the affordable price, but also the fact that this lasted me forever! A true gem, everyone should know about. I found his mascara to give extra lenght to my lashes but not as much volume unless i added a few coats, so it actually does volumize if you add 5 coats or more, its really worth the money if you’re on a budget because you get your money’s worth. It doesnt clump, is easy to wash out and the product doesn’t thicken in the bottle. this is definitely a bargain! I bought the waterproof version of this mascara and while the thickening effect was somewhat compromised, the staying power was impressive! I actually went to purchase the Maybelline Rocket Waterproof Mascara after reading reviews but I couldn’t find it (I wonder if we get that one in SA?) so I bought this one prior to my trip to Mauritius. I swam, I snorkelled and the mascara did not budge. It is a bit of a mission to take off but I bought makeup remover wipes specifically designed for removing waterproof makeup and it came off fairly effectively then. Definitely recommend.